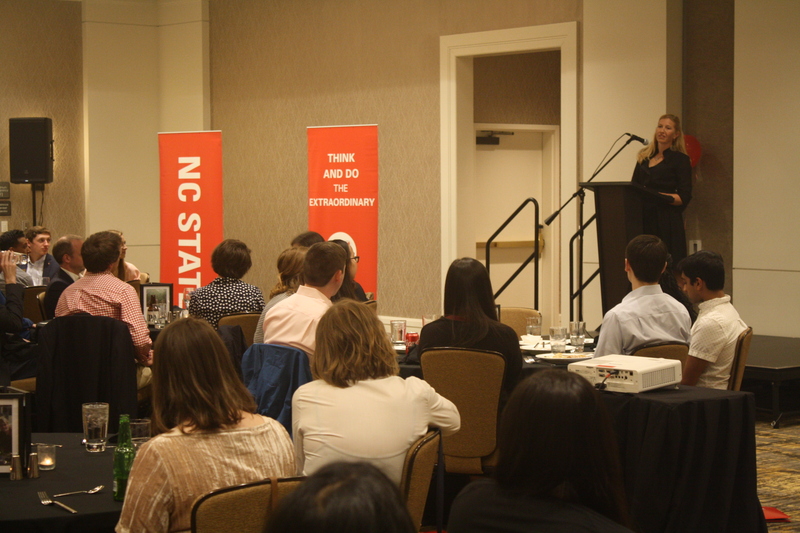 On Friday, April 6-Sunday, April 8, approximately 100 students, alumni, parents, faculty, staff, and selection committee members converged at the StateView Hotel on NC State’s beautiful Centennial Campus for sPark 2018 — the Park Scholarships second biannual leadership and networking symposium. It was a weekend exemplifying the four pillars of scholarship, leadership, service, and character; bringing together individuals from all stages of life and career to ‘find their sPark’. Chancellor Randy Woodson joined attendees on Friday night to kick-off the weekend’s festivities. Keynote speaker Carrie Farley ‘00, a member of the inaugural class of Park Scholars, flew all the way from London to reconnect with her fellow classmates and inspire others with her talk on finding her “ikigai” — a Japanese concept that illustrates the intersection of what you love to do and what you are good at doing to determine the secret to living a long and happy life. Farley is the director of Iris Advisory, a consulting firm focused on the development and delivery of infrastructure projects in the Middle East and Africa. Prior to founding Iris Advisory, Farley worked for the International Finance Corporation, the private financing arm of the World Bank where she led transaction teams advising government clients on delivering infrastructure through public-private partnerships. Friday night concluded with a celebration honoring the fifteen, ten, and five-year reunions for the classes of 2003-04, 2008-09, & 2013-14. 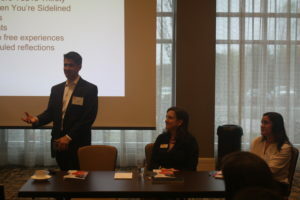 Sparks flew on Saturday morning as five TEDx-style speakers took the stage. Richard Ezike ‘05 began the morning with an in-depth analysis of the transition to autonomous vehicles and Dr. Zhen Gu, NC State associate professor in biomedical engineering, presented his research on bioresponsive smart patches and the future of delivering insulin immune checkpoint inhibitors and cancer vaccines. Dr. Tommy Vitolo ‘00, candidate for Massachusetts State Representative, fired up the crowd with an impassioned presentation entitled “Here’s a Tip: You the People!”, encouraging ‘sPark’-ers to discern and act on where their civic engagement impacts their communities most. Emily Neville ‘20, founder of Reborn Clothing Co. and sophomore in political science, delivered a moving testimony on her fight for confidence in the face of doubt when starting a new entrepreneurial venture and Dr. Ricky Bloomfield ‘02, Clinical & Health Informatics Lead at Apple, discussed how taking risks led to discovering his own “ikigai”. What’s a challenge you’re hitting? What cause do you want to impact? In a room full of 100 members within the Park Scholarships community, the “luck” was overflowing! Saturday reached a conclusion as everyone came together to listen to the State of the Park, delivered by Eva Feucht, which outlined the many life-changing milestones Park Scholars and alumni have been achieving since the inaugural sPark 2016. 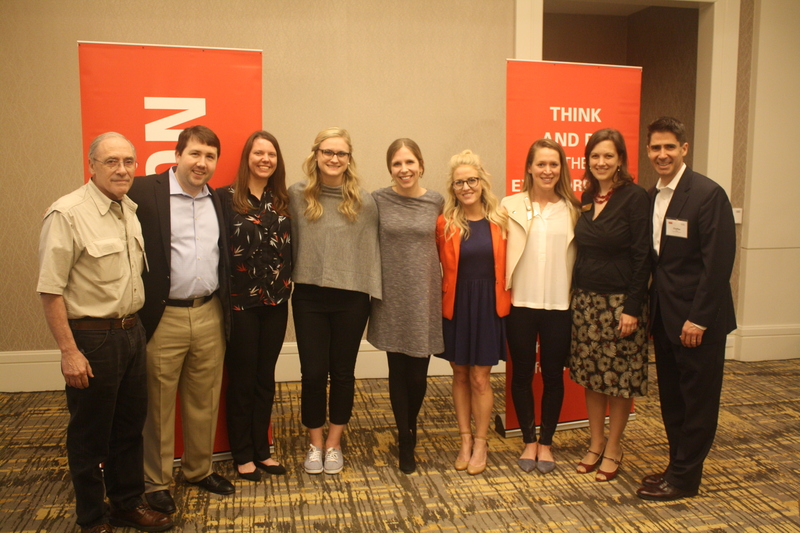 The evening was an emotional night as reunion speakers Jessica Hamm ‘04, Danielle Bliss ‘08, and incoming PAS-President Wade Colburn ‘14 each gave testimonials to their time as Park Scholars and the importance of giving to the Park Scholarships program as alumni. Attendees also heard from campaign chair Dean Norman and Park Philanthropy Council member Dominick Carbone ‘20. While most of our attendees bid farewell Saturday night, a few stayed one more day for a special experience with NC State history. Dr. Thomas Stafford, vice chancellor emeritus, led a private Memorial Bell Tower tour on Sunday morning preceding a pizza party in Peele Hall sponsored by the Park Alumni Society. The third biannual sPark will be held April 17-19, 2020. Join us again in two years and gain an expanded network of Park Scholars, fellow leaders, and changemakers; a renewed sense of purpose; and novel ways of thinking about the issues of our time! Connect. Be inspired. Find your sPark!